Fact–Statin drugs can be extremely toxic including causing death. Myth–Statin drugs are useful in men, women and the elderly. Fact–Statin drugs do the best job in middle-aged men with coronary disease. 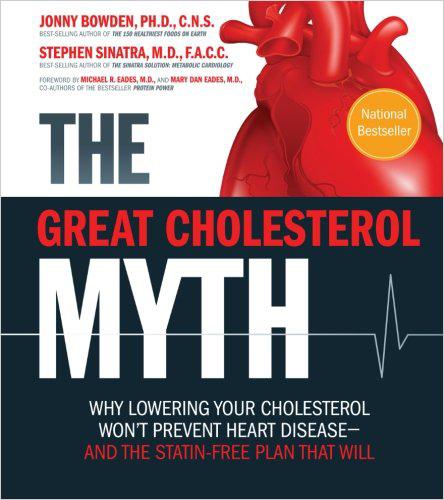 Myth–Statin drugs are useful in middle-aged men with coronary artery disease because of its impact on cholesterol. Fact–Statin drugs reduce inflammation and improve blood viscosity (thinning blood). Statins are extremely helpful in men with low HDL and coronary artery disease. Fact–Saturated fats are not dangerous. The killer fats are the transfats from partially hydrogenated oils. Myth–The higher the cholesterol, the shorter the lifespan. Fact–Higher cholesterol protects you from gastrointestinal disease, pulmonary disease and hemorrhagic stroke. Myth–A high carbohydrate diet protects you from heart disease. Fact–Simple processed carbs and sugars predispose you to heart disease. Myth–Fat is bad for your health. Fact–Monounsaturated and saturated fats protect you from metabolic syndrome. Sugar is the foe in cardiovascular disease. Myth–There is good (HDL) cholesterol and bad (LDL) cholesterol. Fact–This is over-simplistic. You must fractionate LDL and HDL to assess the components. Fact–Cholesterol is only a theory in heart disease and only the small component of LP(a) or “bb shot” LDL predisposes one to oxidation and inflammation.